• Are we missing appointments on a regular basis? • Is the fuel expense too high? • Do I have a lot of unscheduled maintenance? • How does driving behavior affect my bottom line? • Can I stop unauthorized vehicle use? The answers could reveal eye-opening opportunities to save or make money. The solutions may range from putting better processes in place or replacing assets. Another option is implementing a GPS-based advanced fleet telematics system. Let’s take a look at why. First, telematics is a seasoned technology. Berg Insight notes in its ‘Fleet Management in the Americas” summary that fleet vehicle-based systems with satellite positioning and data communication have been in use for several decades now. The research firm expects the use of these solutions to grow to 12.7 million units by 2020. • Your drivers spend a lot of time stuck in traffic and miss appointments. To provide top levels of customer service, fleet managers need a way to help drivers avoid congestion and meet their appointments on time. A fleet telematics system enables work order management for improved on-time arrivals and completion of service requests. The data allows dispatchers and drivers to plan their schedule and adjust as needed, spending less time on the road and giving customers accurate times of arrival to keep them satisfied. For example, FleetOutlook™ provides a timeline view of driver progress and is integrated with Android and Garmin field devices to provide drivers with the latest jobs and turn-by-turn directions. • Your fuel costs seem exorbitant. Drivers idling for too long, over-revving the engine or braking excessively can lead to poor fuel economy. A fleet telematics system can detect activities such as excessive idling and calculate fuel consumption. It allows the business to set a company-wide policy on idling and take other steps as necessary to encourage proper driver behavior. In addition, fleet managers can save fuel with better job planning using FleetOutlook’s TechDirect module to monitor their team(s)’s timeline and optimize work assignments throughout the day. • Your fleet vehicles are spending a lot of time in the shop. Unexpected maintenance can take a toll on your budget and staff. Express ordering parts or pulling in maintenance employees will typically run up costs. 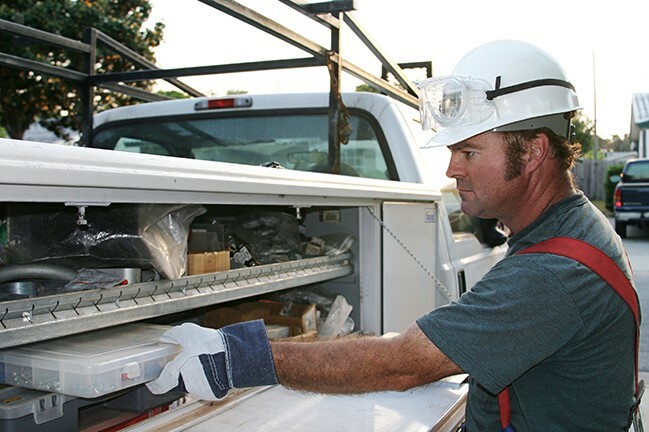 With predictive repairs, fleet managers can reduce downtime of vehicles, equipment and staff. With a telematics device connected directly to your assets, you can get real-time utilization and be alerted when a warning light appears. Reviewing mileage, engine hours and more allow you to schedule regular maintenance before something becomes a major issue. It also helps adhere to warranty or rental contracts. • Your drivers have a lead foot. Driver behavior, such as speeding, harsh steering and sudden braking, plays a big part in the wear-and-tear on your vehicles. These actions on a regular basis can decrease the lifespan of brakes, tires and other components. 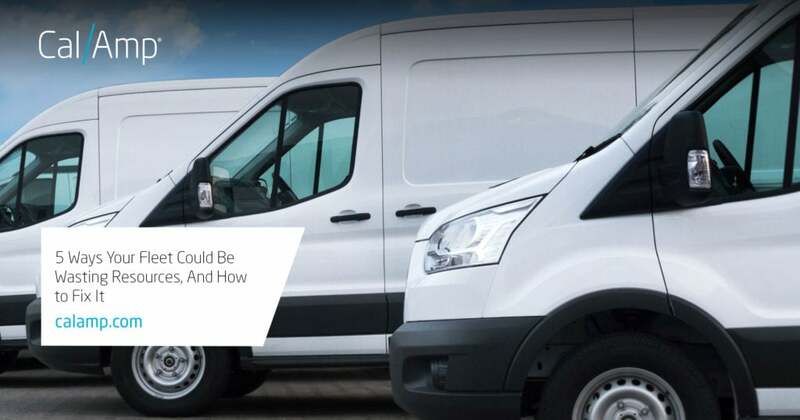 With fleet telematics, you can provide drivers with real-time feedback to encourage a safer driving style that prolongs the life of vehicles and their parts and avoids costly repairs. Companies can enact or enforce good driving behavior through coaching and rewards; it helps protect your brand as your personnel drive safely through residential and commercial areas and, in a way, become your safe driving ambassadors. • Your assets have extra miles or engine hours on them. Are you worried that staff will use vehicles or equipment outside of work hours? Concerned about theft? An advanced telematics system provides alerts based on unauthorized locations and time. If an ignition turns on, fleet managers will be notified and can determine whether or not the utilization is authorized. Without a quick spring cleaning review, you may be missing opportunities to run even more efficiently and perform at peak levels. If you’re interested in learning more about how a fleet telematics solution can eliminate these areas of waste, visit http://www.calamp.com/fleetoutlook to access additional resources for fleets of any size.